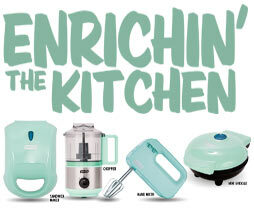 Route 66 Casino is thrilled to offer you a selection of DASH™ kitchen appliances in Aqua. An overview of the products included in our April gift giveaway are shown below. 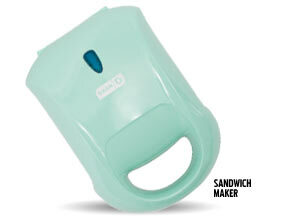 Kitchen products are presented in random order, and will be available while supplies last! 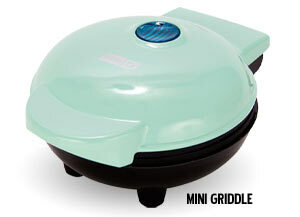 Perfect for quick, healthy snacks, the Mini Griddle is compact to save counter space and boasts a non-stick cooking surface that heats up quickly and evenly. 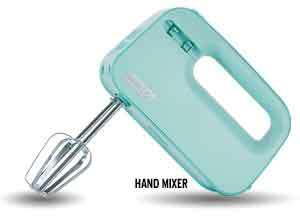 Whip, mix, stir and more with this convenient hand-held mixer. It’s compact design makes for easy storage, it’ll quickly become your go-to kitchen gadget. 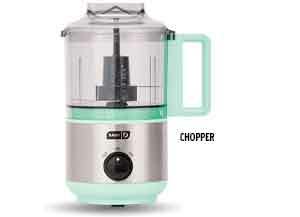 This versatile, compact Chopper is great for preparing dips, pestos, nut butters and more. This kitchen appliance features both pulse and chop functions. For maximum convenience we offer an EARLY gift pick up option. 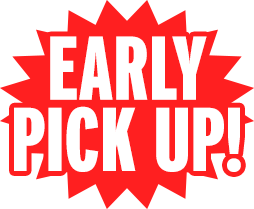 Simply earn 100 same-day base points between 8 am – 11 am every Wednesday in April to take advantage of early pick up. After 11 am regular redemption begins and gifts can be picked up between the hours of 12 noon – 9 pm. Print your gift voucher from any of the kiosks located on the gaming floor and redeem at Legends Theater. Printed vouchers GUARANTEE your daily prize until 9 pm. Please visit the Player’s Club for any additional information. We look forward to seeing you in April for Enrichin’ The Kitchen!